What a great piece of kit, as essential as a C2N or 1541 drive but more reliable. You get access to pretty much the entire C64/16/+4/VIC library of games in seconds, including the long load times which you don't mind. If you want 1second load times, get an emulator. I bought the pre-loaded SD card so within a minute of opening the packaging, I was loading Wizball. Delivery was really fast and the thing worked perfect out of the box! The games and programs still take a bit of time to load because of the slowness of the serial port and the computer, which is actually pretty good. I didn't want to lose the original feeling of the machine even though this makes it orders of magnitude easier to use. The instructions that came with it were simple and cover everything that's needed. 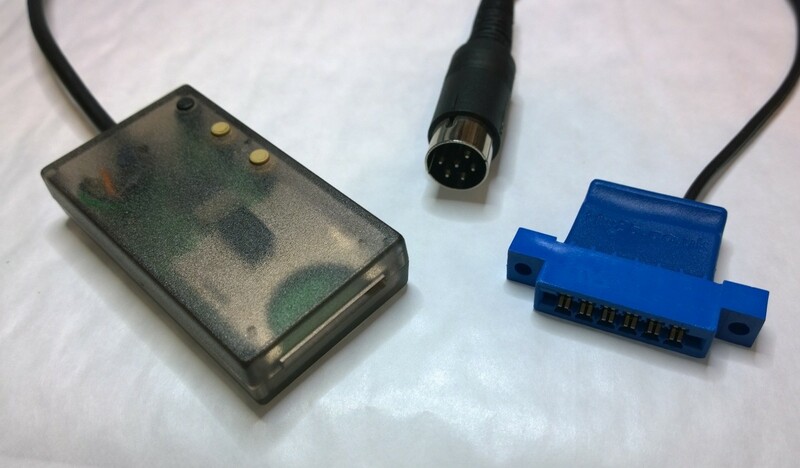 I was looking for a way to load games quickly into the C64 I had bought, and when I heard about the SD2IEC interface it lead me to this site. I purchased the crystal cased model, and an Epyx FastLoader reloaded cart within days of each other. Both items arrived very quickly after purchasing (2 days maximum) ready for me to try. I used the quick setup method using the download from the instructions and had it up and running a few minutes later. Twinned with the Fastload cart games load in seconds ready to play. Overall the SD2IEC here does what it says, and does it just fine.